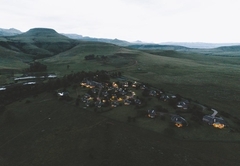 Montusi Mountain Lodge is a Bergville hotel providing accommodation in 16 guest rooms for tourists visiting the Drakensberg region. 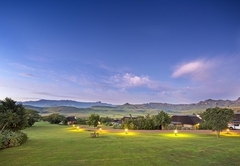 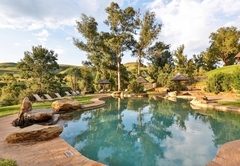 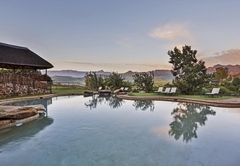 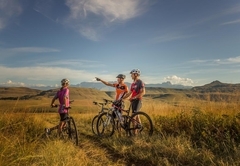 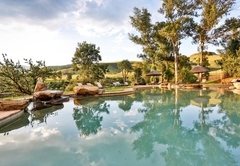 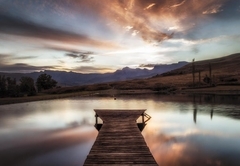 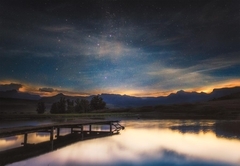 Montusi Mountain Lodge is the only 4 Star graded lodge in the Northern KwaZulu Natal Drakensberg mountains (near the Royal Natal Nature Reserve), which offers superb views of the Amphitheatre mountain from every building. 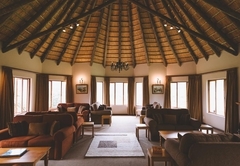 The focus of the lodge is space, comfort and peace with a personal attention to detail. 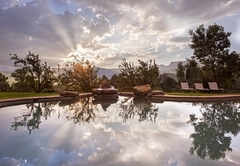 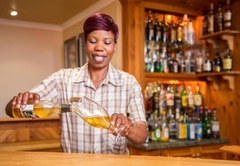 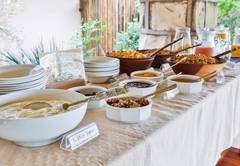 Touches like fresh flowers in the suites, stunning individually prepared meals, turn-down service and complimentary welcome drinks make Montusi something of a Drakensberg gem. 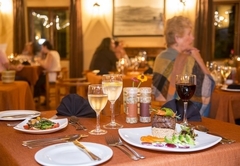 We offer 14 spacious, tastefully decorated, individual suites. 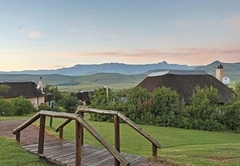 Each suite has spectacular mountain views, tea and coffee making facilities, including a bar fridge for fresh milk. 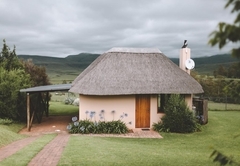 All suites have a car port for one vehicle. 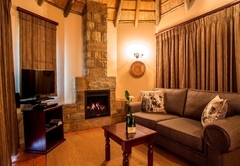 There are 10 Garden Suites which each have a comfy bedroom with en-suite bathroom, a lounge with a TV, DVD player, gas operated fire place and private patio. 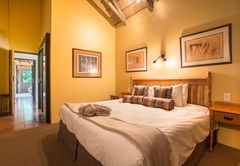 Most suites have a King size bed (others with two singles beds). 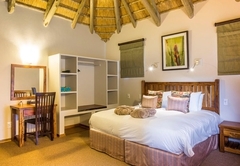 The four Family Suites accommodate four adults in two bedrooms. 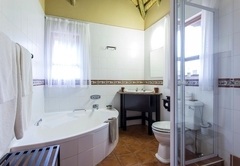 One bedroom has a King size double bed and a bathroom with bath and toilet. 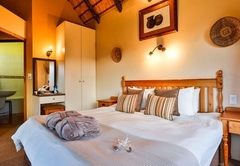 The second bedroom has either two single beds or a King size double bed and a bathroom with a shower and toilet. 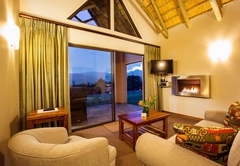 These rooms open onto an entrance area and lounge. 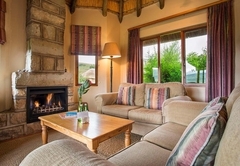 The lounges also have a TV, DVD player, gas fire place and private patio. 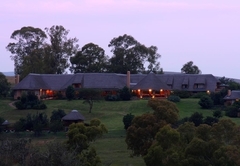 The lodge is situated on a 1000 hectare conservation estate with beautiful streams, a waterfall, three dams, pockets of natural indigenous forests, two caves and bushman paintings. 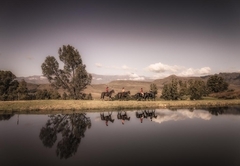 The estate provides a stunning playground for the exclusive use of Montusi guests to hike, horse-ride, mountain bike, fly fish and bird watch. 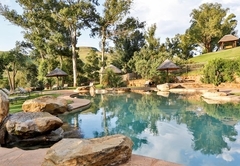 Within the grounds there is a tennis court and a beautiful natural-look swimming pool. 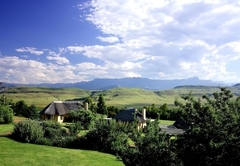 There is a golf course nearby as well as an adventure centre and the Royal Natal National Park. 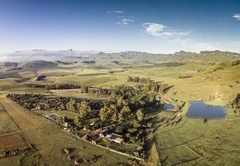 The Amphitheatre Golf Course hugs the banks of the Tugela River and provides a challenging 9 hole round. 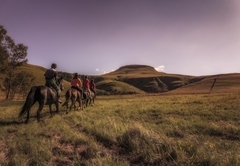 The All Out Adventure centre offers eight adrenaline-pumping activities, including a tree-top cable tour and quad biking, from one spectacular venue. 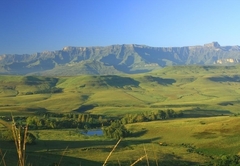 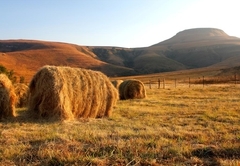 The Royal Natal National Park is the home of unlimited hiking, bushman paintings and some small game. 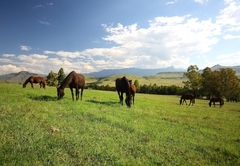 Free standing unit. 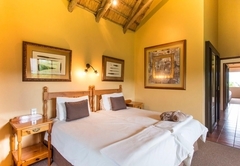 Bedroom with kingsize double bed, Bathroom with both bath and shower; Lounge with patio. 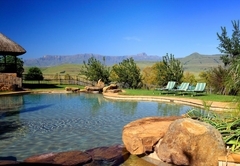 Free standing unit, Bedroom with twin beds, Bathroom with both bath and shower, Lounge with patio. 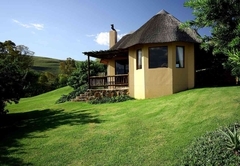 Newly built, bigger free standing unit, Bedroom with king-size double bed, Bathroom with both bath and shower, Lounge with patio. 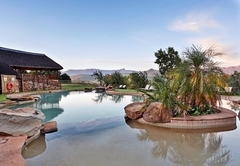 Free standing unit, 2 bedrooms and 2 bathrooms: one with king-size double bed and bath; one with twin beds and shower. 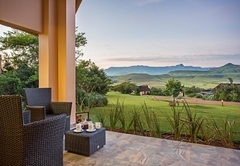 Lounge with patio. 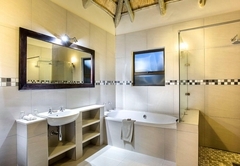 Free standing unit, 2 bedrooms and 2 bathrooms: one with king-size double bed and shower; one with twin beds and shower. 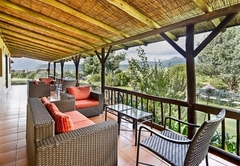 Lounge with patio. 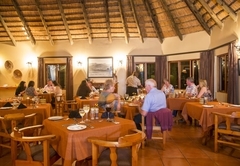 Response timeMontusi Mountain Lodge typically responds to requests in 5-10 minutes.